Check in frequently to find out what’s happening with your TekCollect team. TekCollect Inc, one of the nation’s premier accounts receivable management solution providers, has once again been selected as the exclusive, endorsed Affinity partner of the National Propane Gas Association. The renewal of the NPGA’s endorsement came after the organization’s strong vetting process, including numerous committee reviews, where TekCollect was awarded the endorsement over competing agencies. The continuation of this relationship means TekCollect will provide exclusive benefits to members of the NPGA. TekCollect’s success comes from the strong relationships developed with industry partners, such as the NPGA. Providing an accounts receivable management solution, specifically for the propane industry, TekCollect has helped NPGA members resolve 86% of accounts submitted at a substantial cost savings when compared to other AR solutions. Adding to the success TekCollect achieves for NPGA members is the ease of use developed through multiple software partnerships. NPGA members utilizing Suburban Software Systems, ADD Systems, Cargas, Blue Cow, and RCC will find identifying and submitting of accounts simple and painless. This simplicity helps TekCollect become an extension of a retailer’s staff and ultimately produces superior results. For more information about TekCollect’s NPGA member benefits visit http://npga.tekcollect.com or https://www.npga.org/membership/member-benefits/. TekCollect, an industry leader in patient receivables management, today announced a partnership with athenahealth, Inc. through athenahealth’s 'More Disruption Please’ (MDP) program. As part of the athenahealth® Marketplace, this newly integrated application is now available to athenahealth’s growing network of more than 100,000 healthcare providers to improve revenue cycle management and increase profits. "TekCollect truly understands the challenges faced by the healthcare industry today," said Ron Douglas, President, TekCollect. "Managing patient receivables poses challenges not faced by other industries, which is why TekCollect developed a product specifically for the healthcare industry, TekMD." athenahealth is a network-enabled, results-oriented services company that offers medical record, revenue cycle, patient engagement, care coordination, and population health services for hospital and ambulatory clients. The company’s vision is to build a national health information backbone to help make healthcare work as it should. As an MDP partner, TekCollect joins a network of like-minded healthcare professionals who are looking to disrupt established approaches in healthcare that simply aren’t working, aren’t good enough, or aren’t advancing the industry and help providers thrive in the face of industry change. To learn more about TekCollect's new integrated application, please visit TekCollect's product listing page on the Marketplace. Columbus, Ohio: The Adopt an Area Program is part of the Keep Columbus Beautiful campaign, which seeks to partner with area businesses, schools, organizations, families, and individuals to encourage more livable neighborhoods by keeping the communities free of litter and debris. Members of the program must agree to clean their adopted area at least twice per year over a two year period to maintain active membership. TekCollect is proud to be a part of the Adopt an Area Program and recently hosted their first pick up of 2016 by cleaning up litter along the stretch of street on which TekCollect’s headquarters reside. Over twenty employees volunteered their time to walk the section of adopted roadway and clean up the area. The endeavor took a little less than an hour, as the number of volunteers allowed the project to be completed in an efficient manner. TekCollect is proud to be part of the Adopt an Area program and will host another pick up effort later this year. In total, more than 8500 volunteers participate in the program, providing over 25,000 hours of time toward beautification projects around the city. To learn more about Adopt an Area, please visit the City of Columbus’s website: https://www.columbus.gov/adoptanarea/. TekCollect provides comprehensive accounts receivable management, collections, and customer retention solutions to nearly 30,000 businesses nationwide. The company partners with business owners to optimize their internal accounting practices, limit and control delinquencies, and improve positive cash flow for the long-term. TekCollect’s technologically advanced approach generates the highest recovery ratios in the marketplace, and their non-alienating strategies preserve business’s valued customer relationships. Reno, Nevada: TekCollect, the leader in Accounts Receivable Management, attended the Western Gas Propane Trade Show and Association Meeting this past week. The Western Propane Gas Association hosted its 67th annual meeting May 12th – 14th at the Silver Legacy Resort and Reno Event Center in Reno, Nevada. TekCollect exhibited as the Exclusive, Endorsed NPGA Affinity Partner for Accounts Receivable Management. Says Vice President of Corporate Services Diane Schumm, “We always look forward to meeting our western US clients and NPGA members at the Western Trade Show. It’s a great venue to share how the TekCollect Audit Program can benefit their business.” Along with Diane, Pacific Rim Division Vice President, Al Phelan was in attendance sharing his many years of expertise in the industry. The Western Propane Gas Association boasts more than 200 member companies in California and Nevada. For this year’s meeting, over 1200 attendees from sponsoring NPGA Associations, including Arizona, Nevada, Pacific, Rocky Mountain, as well as Western, participated. Over 200 exhibitors were also in attendance. The WPGA’s primary purpose is to maintain high standards of practice within the industry, and in so doing, protect and expand the ability of its members to compete in the marketplace. For more information, please visit WPGA’s website at www.westernpga.org. TekCollect provides comprehensive accounts receivable management, collections and customer retention solutions to nearly 20,000 businesses nationwide. The Company partners with business owners to optimize their internal accounting practices, limit and control delinquencies, and improve positive cash flow for the long-term. TekCollect's technologically advanced approach generates the highest recovery ratios in the marketplace, and their non-alienating strategies preserve business's valued customer relationships. Columbus, Ohio: TekCollect partnered with Neighborhood Services, Inc. (NSI) to host a spring food drive. TekCollect first partnered with NSI in October 2015 for a clothing drive and decided to partner with them again in 2016 to help fill the shelves of their food bank. The food drive lasted two weeks to collect non-perishable food items for Neighborhood Services’ Choice Food Pantry, a dedicated resource for Columbus-area families. In 2015, NSI had 5,988 families visit their food pantry, and unfortunately, Executive Director of Neighborhood Services, Martin Butler, says they are already experiencing higher numbers in the first quarter of 2016 than they did in 2015. The TekCollect team wanted to address the food pantry’s needs and collected over 200 cans and boxes of food, as well as much needed personal hygiene items, such as soap, toothpaste and toothbrushes, and deodorant. TekCollect also made a monetary donation to further assist the efforts of NSI in the community. Neighborhood Services, Inc. aims to temper the ill effects of poverty by providing food and material assistance to persons in need in the Columbus community. Last year, nearly 6,000 families visited the pantry for a seven day supply of food, more than 1,400 households were served during monthly produce markets, and there were more than 500 visits to the adult and children’s clothing room. Additionally, the organization provided more than 1,000 food boxes for Thanksgiving, Christmas and Easter; distributed more than 400 backpacks during back-to-school time; prepared and filed taxes for 179 individuals using free AARP tax aides; and ensured 958 children had presents under the tree during the Christmas season. To learn more, visit www.NeighborhoodServicesInc.org. TekCollect provides comprehensive accounts receivable management, collections and customer retention solutions to nearly 30,000 businesses nationwide. The Company partners with business owners to optimize their internal accounting practices, limit and control delinquencies, and improve positive cash flow for the long-term. TekCollect’s technologically advanced approach generates the highest recovery ratios in the marketplace, and their non-alienating strategies preserve business’s valued customer relationships. Columbus, Ohio: Leading accounts receivable management company TekCollect joined the Columbus Oktoberfest Four Miler Race, benefitting Charity Newsies this September. The Columbus Ohio event, organized by M3S Sports, kicked off the 50th Annual Oktoberfest celebration, with proceeds assisting Charity Newsies, whose mission is to provide and empower school aged children with new clothing, shoes and backpacks. TekCollect sponsored a corporate team of 20 members, with a combination of runners and walkers. The fastest finishers on TekCollect’s team ran the race in 39:23. This is TekCollect’s second race event this year, along with the Race for the Cure in May. "We love providing our staff with opportunities like the Oktoberfest Four Miler," said Ron Douglas, Executive Vice President. "It allows us to support a great organization like Charity Newsies, while encouraging our team’s health and wellness, all wrapped into a team building event that everyone looks forward to. We thank M3S Sports for helping our team get organized, and Charity Newsies as well as the Columbus Oktoberfest for hosting us." The mission of Charity Newsies is that no child shall be kept out of school for lack of adequate clothing. In 2013-2014, $1.4 million was raised by Charity Newsies. 100% of those funds raised, every single penny, goes towards the purchase of new clothing for children in need. To learn more, visit www.charitynewsies.com. M3S Sports is dedicated to producing world-class celebrations of the Active Healthy Lifestyle, including the Columbus Oktoberfest Four Miler. To learn more, visit www.m3ssports.com. St. Louis, Missouri: TekCollect, the leader in accounts receivable management, attended The Service World at Comfortech 2015 Expo this September. Service World at Comfortech 2015 took place Sunday September 13th through Friday September 18th in St. Louis, Missouri, sponsored by The Service Roundtable. TekCollect exhibited at the expo as the part of the Service Roundtable Preferred Vendors group, attending special sessions of The Service Roundtable as well as other networking events. "Being named a new Preferred Partner of The Service Roundtable has been a wonderful way for TekCollect to network with attendees of Service World," said Diane Schumm, Vice President of Corporate Services. "Our roots with the private contracting industry run deep, and we welcome the opportunity to bring cash flow management programs to Service Roundtable members." The Service Roundtable is the largest private contractor networking group in the country. Founded by a collaboration of leading contractors, The Service Roundtable exists to share information and help other contractors improve their sales, marketing, operations and profitability. The Service Roundtable works with the HVAC, Electrical, Solar, and Plumbing industries to help support, inform, and build their organizations. To learn more, visit www.ServiceRoundtable.com. St. Louis, Missouri: TekCollect, the leader in accounts receivable management, attended Comfortech 2015, the National HVACR, Hydronics and Plumbing Conference and Expo this September. Comfortech 2015 took place Tuesday September 15th through Thursday September 17th at the America’s Center Convention Complex in St. Louis, Missouri. TekCollect exhibited at the conference as the part of the Service Roundtable Preferred Vendors group. "The HVACR, hydronics and plumbing industries make up a key segment of our client base," said Diane Schumm, Vice President of Corporate Services. "We are pleased to share our specialized programs for these markets at this year’s Comfortech. We also appreciate our relationship as a Preferred Partner of The Service Roundtable, with whom we’re exhibiting as part of their Preferred Vendor Pavilion." Comfortech brings together the latest products, trends and business solutions for mechanical contractors involved in HVACR, Hydronics and Plumbing. This national event features conference sessions that educate and inspire business transformation while delivering insight on the latest industry trends that are impacting business owners and service professionals. The Expo environment provides an opportunity to learn more about the latest products that help drive business and boost profitability while connecting attendees with the manufacturers that are responsible for developing those tools and solutions that are critical to success in this ever changing business environment. To learn more visit www.comfortechshow.com. Kansas City, MO: TekCollect is attending the National Rural Health Association's Rural Clinic and Critical Access Hospital Conference this week. The 2015 NRHA's 14th Annual Conference is made up of the Rural Health Clinic Conference, which takes place Tuesday, September 29th and Wednesday, September 30th, and the Critical Access Hospital Conference, taking place Wednesday, September 30th through Friday October 2nd in Kansas City Missouri. TekCollect is attending the expo as the newest NRHA Corporate Partner for Revenue Cycle Management, exhibiting at Table 14. "This is our first event with the NRHA as a Corporate Partner," said Ken Wilson, Division Vice President for TekCollect. "Our services are specialized for the medical industry, and our team looks forward to meeting with and developing long-lasting relationships with NRHA members and conference attendees." The National Rural Health Association (NRHA) is a national nonprofit membership organization with more than 20,000 members. The association's mission is to provide leadership on rural health issues. NRHA membership consists of a diverse collection of individuals and organizations, all of whom share the common bond of an interest in rural health. To learn more, visit www.ruralhealthweb.org. TekCollect provides comprehensive revenue cycle management, collections and patient retention solutions to businesses nationwide. The Company partners with hospitals, clinics and practices to optimize their internal accounting practices, limit and control delinquencies, and improve positive cash flow for the long-term. TekCollect's technologically advanced approach generates the highest recovery ratios in the marketplace, and their non-alienating strategies preserve practices' valued patient relationships. Cincinnati, OH: TekCollect, the leader in accounts receivable management, exhibited at The Ohio Society of CPAs Cincinnati Accounting Show this September. The 2015 OSCPA Cincinnati Accounting Show took place Tuesday September 22nd and Wednesday September 23rd at the Kingsgate Marriott. TekCollect exhibited at the conference as the newest Preferred Solutions Partner for Accounts Receivable Management. TekCollect will also be attending the Cleveland Accounting Show in October, the Columbus Accounting Show in November, and the Mega Tax event in early December. "As the new Preferred Solutions Partner for Accounts Receivable Management, our cash flow programs are specialized for OSCPA members and their clients," said Diane Schumm, Vice President of Corporate Services for TekCollect. "The Cincinnati Accounting Show is one of many opportunities for us to bring solutions to The OSCPA." The Ohio Society of CPAs (OSCPA), established in 1908, represents the diverse interests of 20,000 CPAs and accounting professionals working in business, education, government and public accounting. OSCPA leverages strong relationships with state and federal legislators and regulators to advocate for CPAs and the public interest. To learn more about the OSCPA, visit www.ohiocpa.com. TekCollect provides comprehensive accounts receivable management, collections and customer retention solutions to nearly 30,000 businesses nationwide. The Company partners with business owners to optimize their internal accounting practices, limit and control delinquencies, and improve positive cash flow for the long-term. TekCollect's technologically advanced approach generates the highest recovery ratios in the marketplace, and their non-alienating strategies preserve business's valued customer relationships. Wrightsville Beach, NC: Leading accounts receivable management provider TekCollect exhibited at the North Carolina Dental Society 4th District Fall Meeting. The 2015 North Carolina Dental Society 4th District Fall Meeting took place Friday, September 18 and Saturday, September 19, in Wrightsville Beach, North Carolina at the Blockade Runner Resort. TekCollect attended the expo as the endorsed NCDS Member Benefit Partner for Accounts Receivable Management. "Our partnership with the North Carolina Dental Society and its members is highly valued, and we are pleased to bring our A/R management services to the 4th district meeting," said Carl Peterson, Region Manager. "We thank the NCDS for their continued support and look forward to serving their members." The North Carolina Dental Society was founded in 1856 and is one of the oldest dental societies in the country. The NCDS proudly represents nearly 3,600 member dentists – nearly 75 percent of the dentists in North Carolina. The North Carolina Dental Society is a part of the American Dental Association, and all NCDS members are also ADA members. To learn more, visit www.ncdental.org. Lake Ozark, MO: TekCollect, the leader in accounts receivable management, exhibited at the Missouri Independent Bankers Association Community Banking Convention and Expo this September. The 2015 Convention and Expo took place Monday, September 14th to Wednesday, September 16th, in Lake Ozark, Missouri at the Lodge of Four Seasons. TekCollect attended the expo as the Endorsed MIBA Vendor for Accounts Receivable Management. This November also marks the 12th year of TekCollect's partnership with the MIBA. "As MIBA's Endorsed Vendor for Accounts Receivable Management, we are pleased to bring cash flow solutions to their members and clients," said Lance Rhutasel, Division Vice President. "We thank the MIBA for the opportunity to continue serving their association at this convention and beyond." The Missouri Independent Bankers Association is an organization of small and medium-sized banks, locally owned, operated and dedicated to meeting the financial needs of their communities. The MIBA is dedicated to the preservation of banking law and structure which will assure the continued survival and prosperity of Missouri's independent banks. To learn more, visit www.miba.net. Columbus, Ohio: TekCollect has collaborated with Dress for Success Columbus to conduct a large corporate clothing drive this month. The drive was held for two weeks at the end of August as part of a larger effort to collect clothing for a variety of philanthropic organizations. TekCollect segmented a portion of the drive specifically to collect professional women's clothing for Dress for Success, who promotes the economic independence of women in need by providing professional attire, a network of support, and the career development tools to help women thrive in work and in life. "This organization is close to our hearts. We were thrilled by the level of employee participation in what has become our third clothing drive this year. We are pleased to be able to partner with Dress for Success as they empower women in our community," said Ron Douglas, Executive Vice President at TekCollect. Molly Preston, Contributions Coordinator for Dress for Success, said, "We are so grateful for the clothing drive TekCollect held to benefit the women we serve at Dress for Success Columbus! To date, we have suited over 8,000 women free of charge and we CANNOT do what we do without the fantastic community support from companies such as TekCollect! Their overall contribution of over 150 professional pieces of clothing and outerwear, 25 pairs of professional ladies shoes, and 20 handbags will greatly empower the women on their way to financial independence." Dress for Success's programs, including Interview and Employment Suiting, Career Center, and Professional Women's Group Employment Retention are free of charge for every woman we assist. Any woman referred by a community partner is eligible for service. To learn more, visit www.dfscmh.org. TekCollect provides comprehensive revenue cycle management, collections and patient retention solutions to nearly 30,000 businesses nationwide. The Company partners with hospitals, clinics and practices to optimize their internal accounting practices, limit and control delinquencies, and improve positive cash flow for the long-term. TekCollect's technologically advanced approach generates the highest recovery ratios in the marketplace, and their non-alienating strategies preserve practices' valued patient relationships. 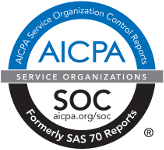 Columbus, Ohio: TekCollect has announced their new strategic partnership with The Ohio Society of CPAs as a Preferred Solutions Partner. As OSCPA's Preferred Solutions Partner for A/R Management, TekCollect will extend their specialized accounts receivable services to nearly 21,000 OSCPA members throughout the state. TekCollect is known throughout the country as a leader in accounts receivable management and collections, with other national and regional professional association endorsements spanning a broad spectrum of industries. In addition, TekCollect will be showcasing their A/R management solutions at several OSCPA events throughout the year, including the Cincinnati Accounting Show in September, the Cleveland Accounting Show in October, the Columbus Accounting Show in November, and the Mega Tax event in early December. "Becoming a Preferred Solutions Partner for The Ohio Society of CPAs reflects our shared commitment to bringing quality accounts receivable management services to Ohio's accounting industry," said Diane Schumm, Vice President of Corporate Services for TekCollect. Thera Wright Gialluca, Strategic Relationships Manager for OSCPA said, "We strive to offer our members access to tools that can help them enhance operational effectiveness, which is why we're pleased to partner with TekCollect." The Ohio Society of CPAs (OSCPA), established in 1908, represents the diverse interests of nearly 21,000 CPAs and accounting professionals working in business, education, government and public accounting. OSCPA leverages strong relationships with state and federal legislators and regulators to advocate for CPAs and the public interest. To learn more about the OSCPA, visit www.ohiocpa.com. Columbus, Ohio: TekCollect, the leader in accounts receivable management, has announced new filing service features, specifically Proof of Claims, that are now being offered to their entire client base. The major new features provide claimants with the right to pursue monies owed them by an individual in normally difficult situations. Indeed, in doing so, the client's legitimate right to the debt is protected & acknowledged by the proper court where the POC is filed (Bankruptcy or Probate). Thus the debt is guaranteed to be paid proportionately from whatever proceeds available to the trustee of the bankruptcy, or to the trustee of the estate names in the proper probate court. These claim filing services are now available to all TekCollect clients as part of the regular schedule of services. "We are pleased to be able to offer these critical services to our clients," said Mark Kabbara, Senior Executive Vice President - Recovery and Litigation. "Special thank you to Karen Hamilton, a prominent Nationwide bankruptcy attorney, who has been contracted for this process and task." TekCollect clients may take advantage of these claim filing features by contacting Client Services at 866-652-6500 x 1. If your business is interested in learning more about these and other TekCollect products and services, visit www.tekcollect.com.